The promo shows off a man trying to play knack but he is stuck in one area of the game, he then watches a video uploaded by a friend to clear that area. 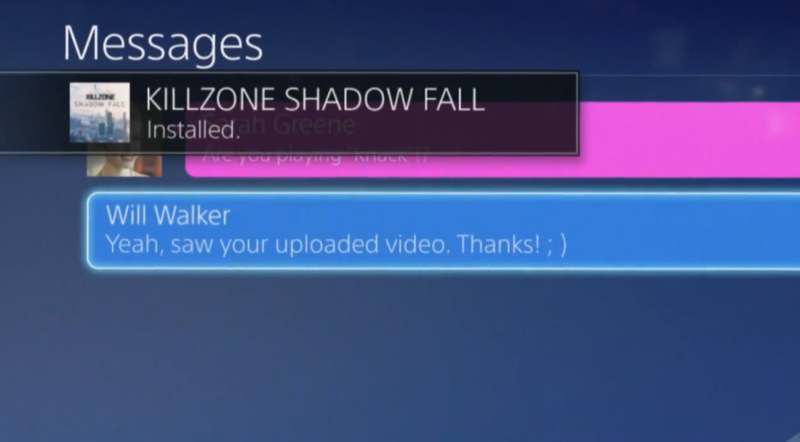 While another friend is asking him to join him on Killzone, which he must download from the Playstation store. The video also shows off micro management, where you can use your smartphone to download games ota to the PS4. Now if only sony could implement it like they show it off, we could very well have the next gaming console.